The energy demands of the marathon are different than that of even the 10K or even half marathon. Part of what makes a marathon so challenging is the chance of bonking; your nutrition before and during the race can mitigate this risk and help you run strong and steady through the end. Carb loading is traditionally viewed as part of a marathon nutrition strategy, but does it effectively work? What Exactly is Carb Loading? The human body can only store enough glycogen for two hours to two and a half hours of running, and even less than that when you are running at a higher intensity. 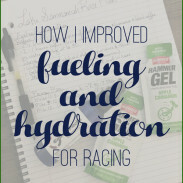 Whether you are just trying to finish the marathon or racing for a PR, chances are that you will risk hitting the wall if you do not take care to fuel properly. Carb loading is trying to optimize your glycogen storage for the race; it doesn’t replace mid-race fueling, but instead is part of a single cohesive fueling strategy. However, carb loading is not always how the media portrays it or some runners practice it. It certainly isn’t cramming down a heaping plate of fettuccine Alfredo before your race. Carb loading is the practice of eating more carbohydrates in the couple days before your marathon in order to stock your muscles with their preferred energy source for the race. During marathon training, your long runs burn up a significant amount of your glycogen (stored carbohydrates). As a result of this, your body adapts to increase its ability to store glycogen. By the time race day arrives, your body is able to store more glycogen than previously. Carb loading allows you to take full advantage of this training adaptation on race day. To effectively carb load, you eat more carbohydrates in the two to three days before your race. How much is more? For the simplest calculation, carb loading is eating approximately 7-10 grams of carbohydrate per kg (2.2 pounds) of bodyweight. For example, if you weigh 135 pounds (61 kg), you would aim for a minimum of 425 g of carbs in the two days before your marathon. Of course, you do not have to download a calorie or macronutrient counting app and get caught up in a number game. You can approach carb loading intuitively, by deliberately increasing your portions of carbohydrates and opting for higher carbohydrate foods – for example, oatmeal for breakfast instead of eggs, a bagel or toast for a snack instead of yogurt, etc. Adding in sports drinks or juice can help sneak in extra carbohydrates without a large amount of extra volume. A change in diet can add unwanted effects, including sluggishness and gastrointestinal upset. Stick to foods that are familiar to you. You do not need to cut out fiber completely and eat only simple carbs. For many runners, this may be too much of a change in routine before a race. You may opt to reduce fibrous foods and opt for easily-digestible carbs the day before the race, but fiber is more than okay in the two to three days before, especially if you are accustomed to eating fiber. Eating bland yet complex carbohydrates will also keep your diet nutritionally dense in the days closest to the race – and therefore primed to for peak performance. A majority of elite runners do increase the carbohydrate intake in the two to three days before a marathon. Most coaches advocate for a carb load. Why? Because it is effective in reducing your chance of hitting the wall. Some runners look to fat adaptation as an alternative, but the truth is, fat takes longer to convert into energy. 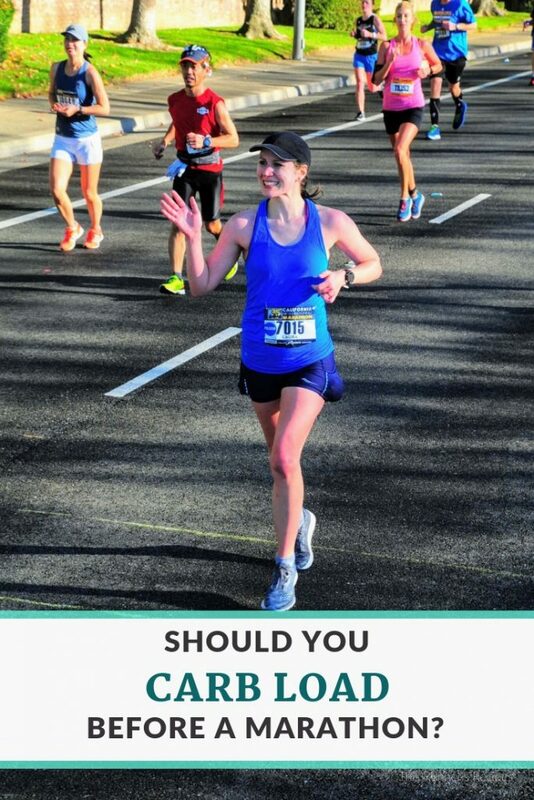 Yes, you would have energy to run the marathon distance, but this would compromise speed. A study from the International Journal of Sports Medicine examined how carb loading affected runners at the 2009 marathon. This wasn’t a study that took place in the carefully controlled conditions of a lab; this study looked at runners in the real world, thus offering some of the most salient conclusions on carb loading. Of the 250 marathons studied, the researchers found that those who ate more than 7 g of carbs per kg of bodyweight the day before ran about 13.4% faster than their counterparts who did not carb load. 13.4% faster is a significant amount of time in the marathon! 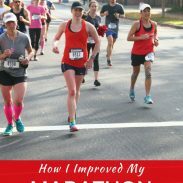 The combination of carb loading, the marathon taper, and a good dose of mental toughness is what makes it possible for you to cover the distance and, if racing the marathon, sustain your goal pace for entire distance. So in short, carb loading works. Yes, some runners may not need it – there are always variances in individual diet and physiology – but for a majority of runners, a smart carb loading strategy will help you avoid the bonk and optimize both performance and experience in your next marathon. How you carb load matters. Some common errors – including taking carb loading to an excess – may negate the performance benefits of carb loading and leave you feeling bloated and sluggish. Over-eating: Carb loading is not license to indulge in enormous portions and sugary foods. You are still fueling your body for performance. Yes, you want to eat more carbs than normal – but not so many that you feel bloated, sick, and sluggish. Eating only carbohydrates: You may be eating more carbs, but you shouldn’t eat only carbs. Protein and fat are still vital! Deliberate depletion: The old-school approach of deliberately depleting carbohydrate stores before a carb load through means of a long workout and low carb diet is not necessary. This approach was based on studies in the 1960s done on sedentary individuals. Runners, on the other hand, partially deplete their carb stores repeatedly through training – training primes our muscles to store carbs. Additionally, a sudden switch to a low-carb diet can render you moody and tired shortly before the race – not exactly how you want to feel. Not drinking enough water: Your body requires water to aid in the storage of glycogen. Without drinking enough fluids, carb loading may not be as effective or you may be slightly dehydrated going into your marathon – neither of which are ideal! Worrying about weight: You will gain a small amount of water weight with carb loading. This will not harm your race – at most, it’s a couple of pounds, and it is far preferable to go into your marathon with a couple of extra pounds yet plenty of energy than at a slightly lower weight but without enough energy. Waiting until the night before the marathon: Much like studying for an exam, cramming is not an effective approach to carb load. 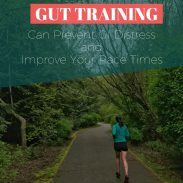 Eating a huge, heavy meal the night before the marathon can increase your chances of GI upset on race day. Instead, spread the carbohydrates out throughout the entire day before the race, as well as the meals. Carb loading is only part of the picture for achieving a marathon PR or avoiding the wall. Your mid-race nutrition, proper nutrition during training, and an sound training plan all will affect the outcome of your race. Carb loading alone won’t compensate for training errors. But for runners who have trained well, carb loading helps you optimize the work of training and work to your fullest potential on race day. Do you carb load before a race? What’s your favorite food to eat during the carb load? Carb loading is tricky for a lot of runners mainly because they think it’s a free for all to eat ALL the carbs. I know I did when I first started running! I do up my carb intake prior to a race but it’s usually nothing crazy. That is an interesting study! I used to wait until the night before the race to carbo load but now I do it a few days before hand and I can really feel the difference in the way I race and run! I was chatting with an elite triathlete this weekend and it was interesting that he doesn’t really carb load- he just encourages eating as usual. BUT, for him, eating as usual does include a lot of carbs. Obviously if you are skimping on the carb before a race (or any workout) you’re going to feel it! I do make slight changes before a big race but definitely don’t just indulge and eat mounds of food right before race day. I do find it helps me a bit and I have figured out what works best for me and my GI system! I try to eat more carbs the week before a longer race, and I would say I eat moderately high carb to begin with, but I doubt I have ever managed ~400 g in a day! I will have to try adding in liquid carbs next time.